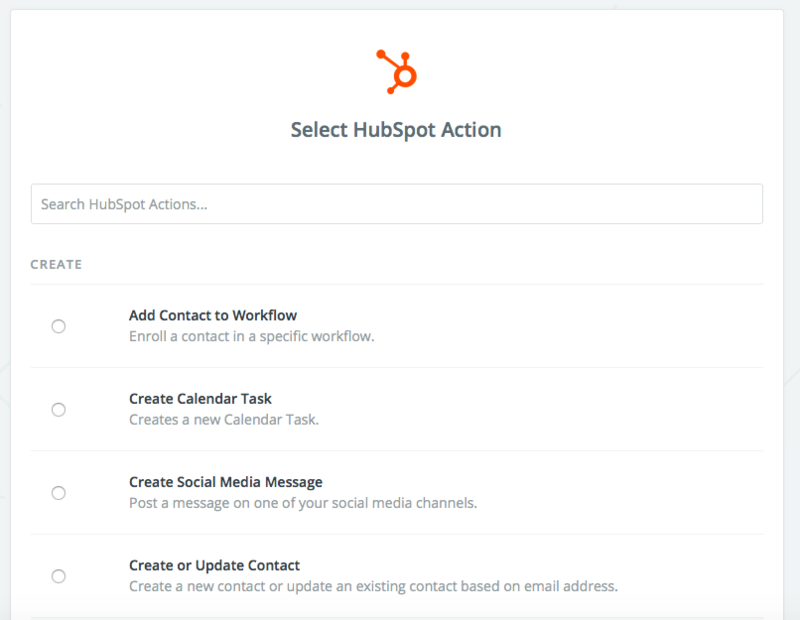 Hubspot is an inbound marketing and sales platform that helps companies attract visitors, convert leads, and close customers. 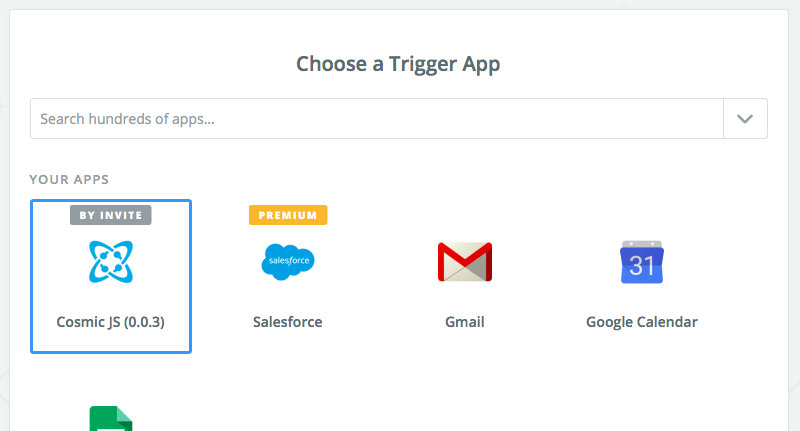 Zapier gives people internet superpowers by allowing them to connect and automate the apps they use. 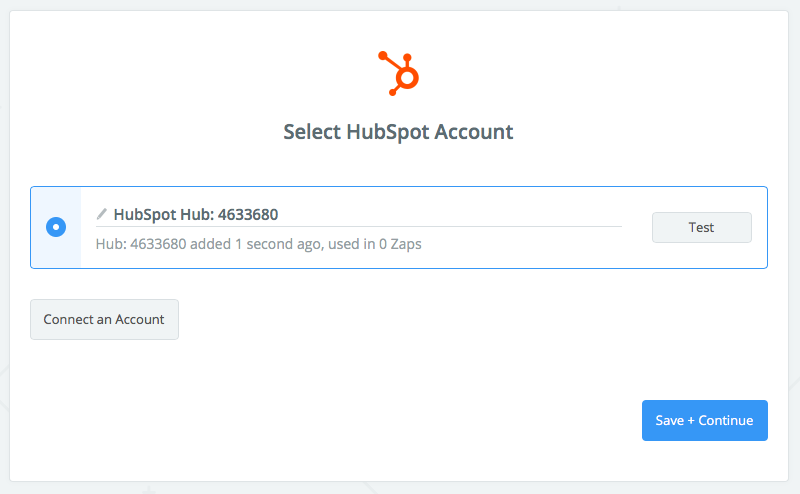 Using Zapier to connect your Cosmic-powered content with Hubspot is easy and requires zero coding. 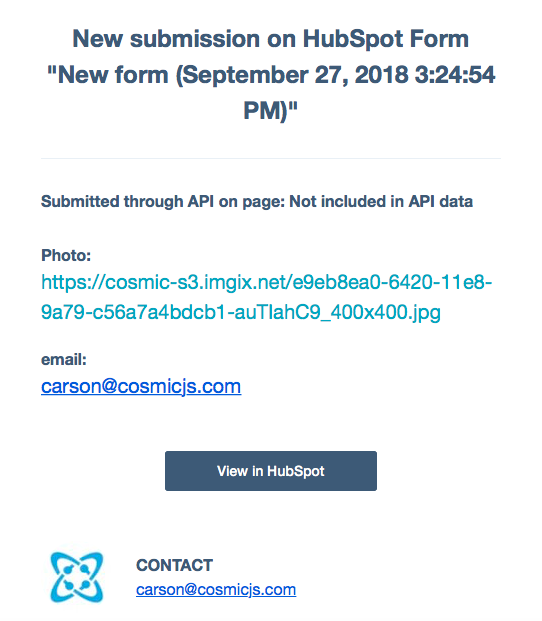 In this article I’m going demonstrate how to add new form submissions to Hubspot when you Publish Objects in your Cosmic JS Bucket. 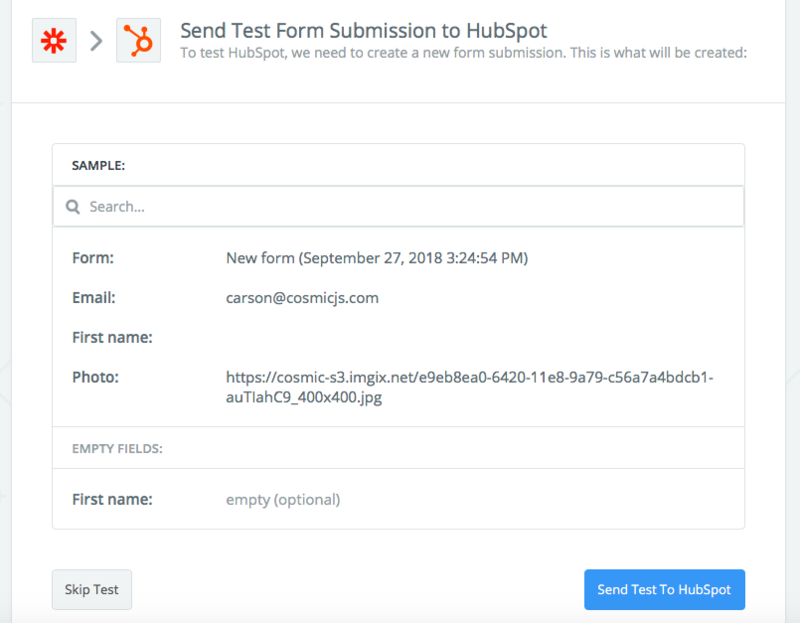 I set up a test to pull through New Published Objects in my Bucket to add a form in my Hubspot Dashboard: for this example the published Objects are populating a new form submission with an email address and photo attachment. Your zap is now ready to be turned on and enjoyed! Now every time I publish a new Object in my Bucket, a new form submission will be submitted in Hubspot, ready for even faster team collaboration. 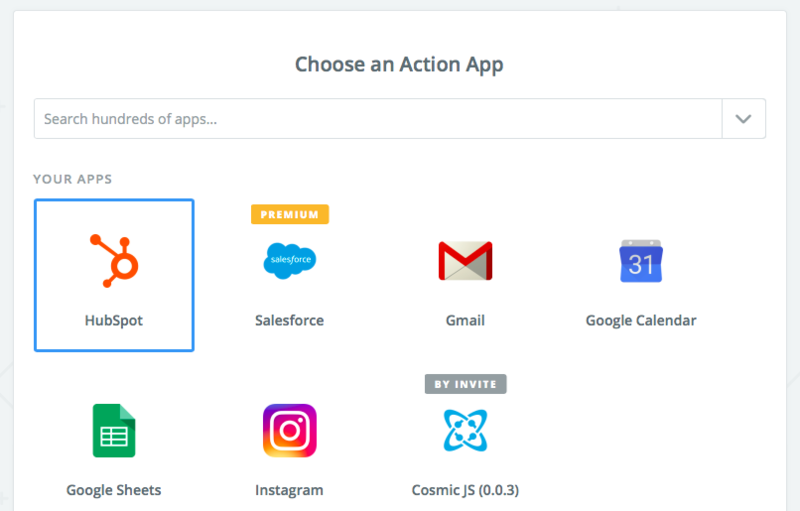 It's easy to automate workflows with your favorite apps using the Cosmic JS Zapier Integration. By starting your content in an API, you're ensuring ultimate portability and scalability of your content, workflows and processes. 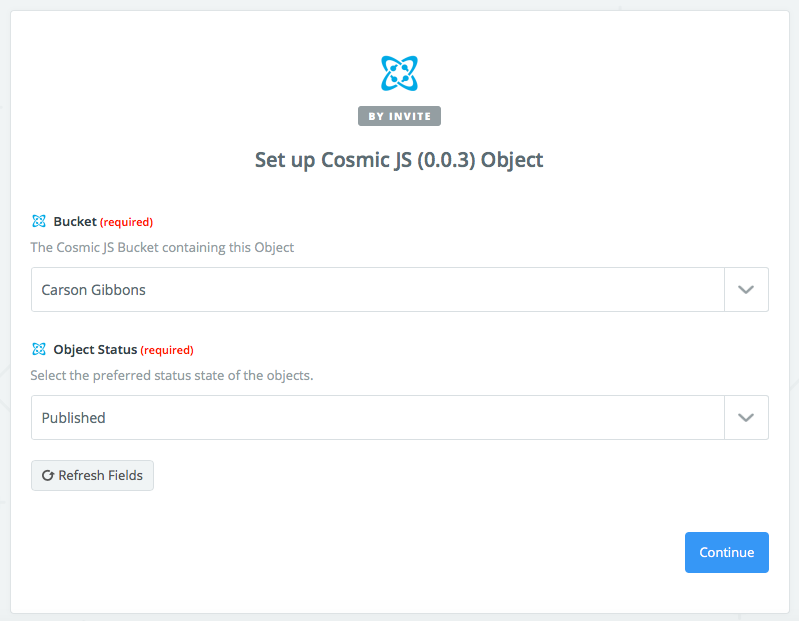 If you have any comments or questions about integrating your Cosmic JS Objects into workflows with other apps using Zapier, reach out to us on Twitter and join the conversation on Slack. Cosmic JS empowers developers and content editors by giving them the tools they need to accomplish their jobs in concert with one another. In this tutorial, I'm going to show you how to create a elegant Recipe App using Vue2, Vuex, Vuetify and Cosmicjs. 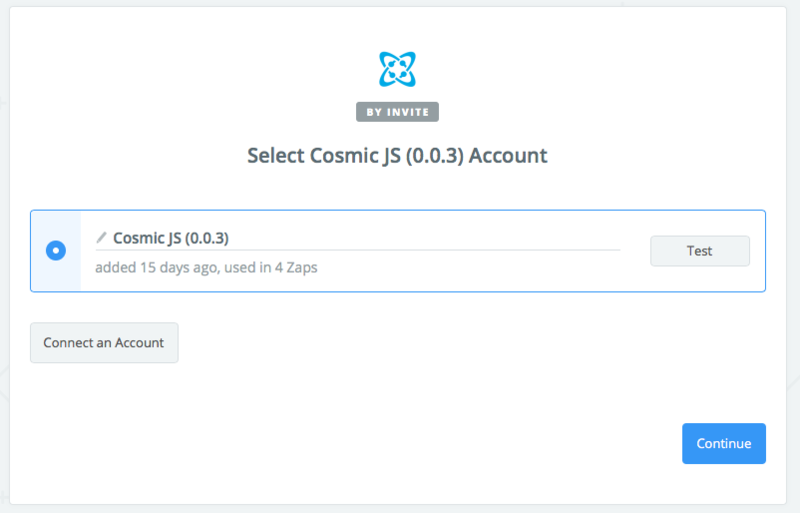 You have the ability to add Quick Links to Your Cosmic JS Bucket Dashboard. Quick Links are a great way to easily navigate to other websites, shared resource documents, CRMs, task management software or team collaboration tools directly from your Cosmic JS Bucket Dashboard. In this Guide, I’m going to show you how Imgix Extension will provide optimized images for your application. Will also talk about the benefits, and show you how to install it to your Bucket in a few clicks. An Object in Cosmic JS can be a page, a blog post, an author or anything you want it to be. Cosmic JS gives you the freedom to create and manage content openly and create your own data structure. Each Object allows for the creation of a title, slug, content and Metafields.